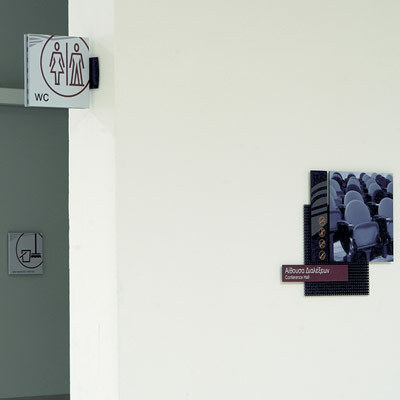 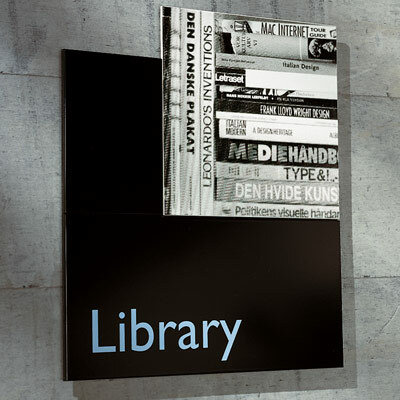 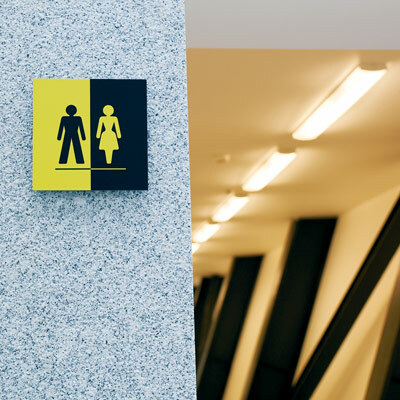 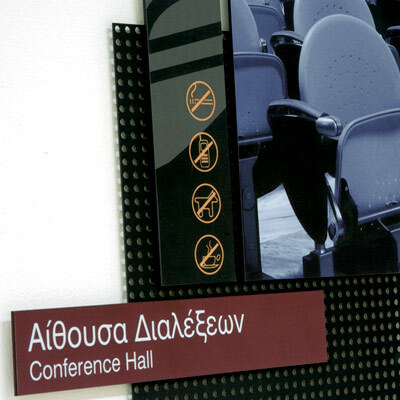 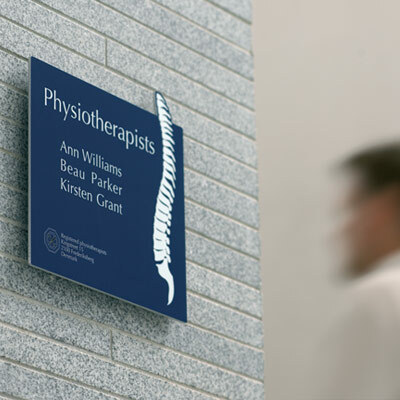 Infinity, designed for internal spaces is the most flexible labeling system in the world: Its unique mounting rack, which comes in many colors, can create signs with multiple shapes, colors, graphics and photos providing endless possibilities for creating elegant and functional signs. 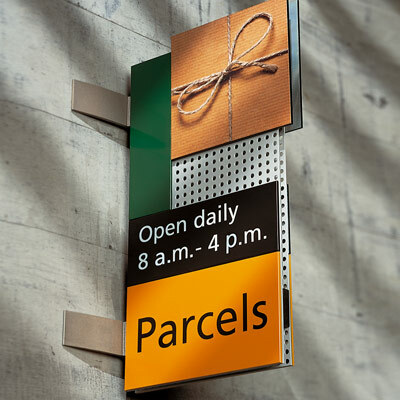 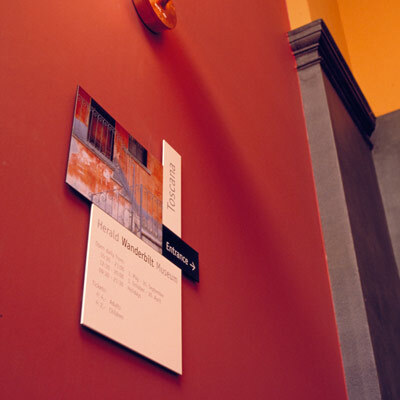 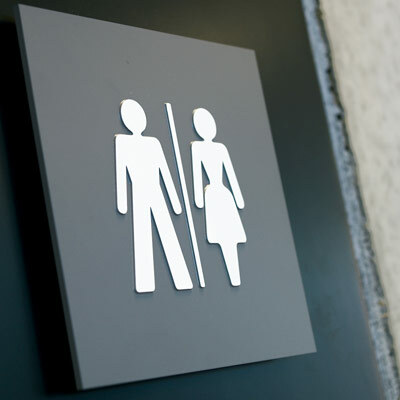 Moreover it gives the possibility for a visible part in the sign, thus creating a modern "industrial" style. 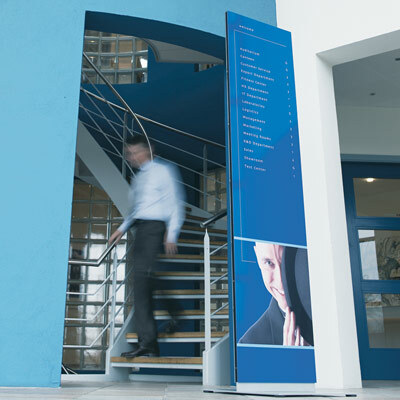 Silkscreen printing, vinyl autoadhesive letters and digital printing offer unlimited designs and graphics.